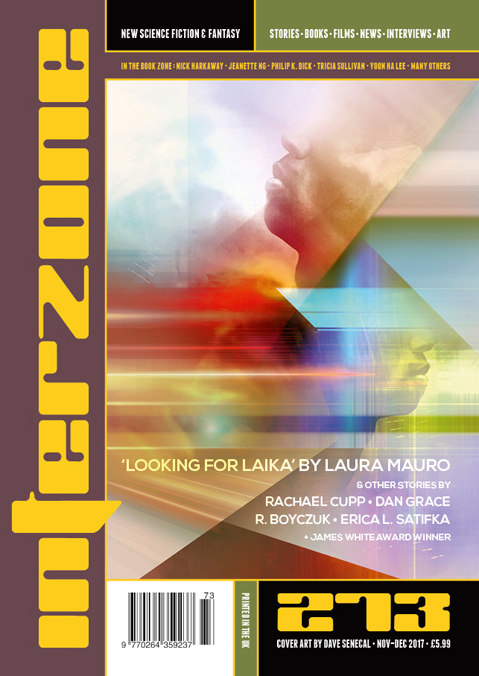 "After the Titans," by Rachael Cupp (edited by Andy Cox), appeared in Interzone issue 273, published on November 15, 2017 by TTA Press. Pro: The essential plot is that Little Fruit wants to heal her brother of injuries she blames herself for. She's forced to choose between her brother and her lover, and (horrifically) she chooses her brother. Her sacrifice actually does work, and she bears Vine’s child as a bittersweet consolation. Con: There’s probably a lot of more nuanced symbolism here (e.g. “Vine” sounds like he might be Bacchus or Dionysus), but I’m not quite seeing it. Suggestions in the comments would be welcome. The story takes a long time getting going.